Downtown Jenna Brown: Oh, snap! My nails look good! 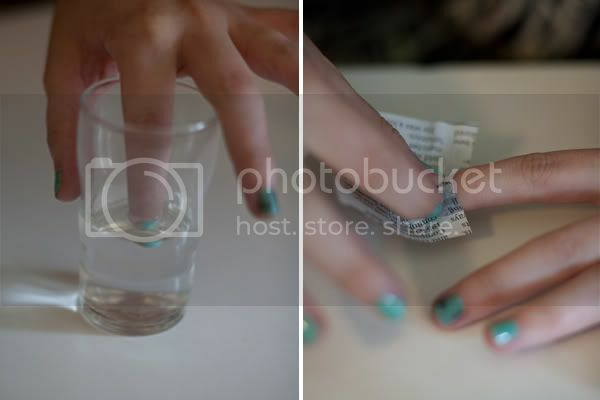 I found this amazing nail tutorial on HelloGiggles and had to give it a try! It's super easy and fun + it could be a great way to decorate your nails for the 4th of July! Sorry to all of my readers that come here for photo stuff- it's time for a girly post! Step one is to gather all of your supplies. 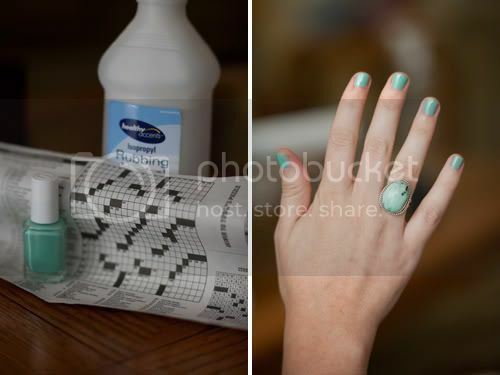 You will need a light colored polish, rubbing alcohol, a small glass and a few newspaper clippings. Paint your nails and let them COMPLETELY dry. I gave my nails a few coats of polish so it took them about 20 minutes to be totally dry. Don't worry though, you can do step 2 while you wait! Well, go on. Read ahead! 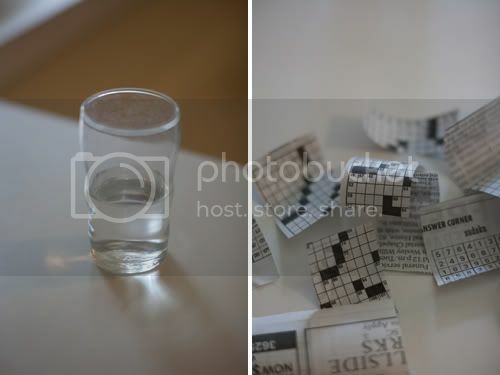 While you are waiting on your nails to dry, cut your newspaper clippings into small squares and pour alcohol into your glass. The clippings should be big enough to completely cover your nails but not too big. Dip your fingers (individually) into the alcohol and leave them in there for about 30 seconds. Next, place a square of newspaper onto your finger and press to make sure it's flat across the entire surface of your nail. This is about the time where you will have an awful itch but don't scratch. Don't sneeze. Don't move. Even if you mess up with the placement don't move. Don't move! Finally, give your nail one last little rub, say a quick prayer and pull the paper off! So cool, right???? I know!! The last step is to paint a clear coat of polish over each nail, let them dry and take those amazing nails out on the town! Please, do not judge my poor, dry fingers. I lotion them every single night but they still look like this. Sigh. Let me know how your nails turn out! SOOO COOL! I'm definitely going to try this!!! As far as your dry fingers... try rubbing a bit of neosporine onto your cuticles every so often. Just a dab can do a whole hand, and it works wonders. It's worth a try right!? first time I see this kind of pattern on your nails like this, very unique. That looks really nice. I love the color. I love the details too. You always see the bright side of things.